Lillagunga Rings combine sports and design in a fun and elegant manner! 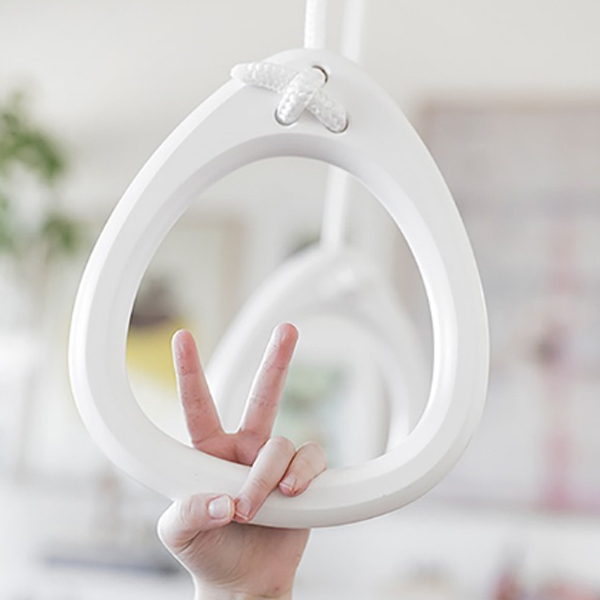 Designed for both adults and children, the gymnastic rings help to develop strength, balance and flexibility, and make an excellent addition for many kinds of spaces from children’s rooms to offices. The rings are made of carefully crafted wooden elements that have been glued together smoothly, offering a good grip for smaller and bigger hands. Designed and manufactured in Finland, the elegant Lillagunga products have been build to last. Anton Stenfors is the CEO of the Finnish design company Uniq Works. 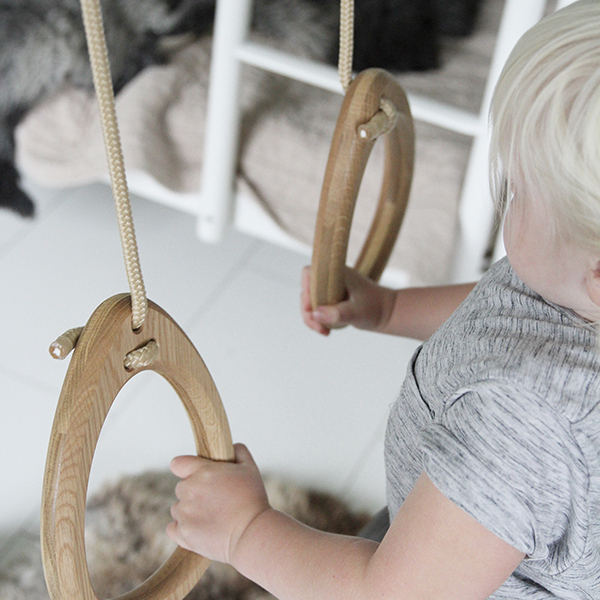 Stenfors got the idea for the Lillagunga swing, when he one summer wanted to buy a wooden swing for his sons. However he noticed that this was difficult and had to take a plastic swing instead. 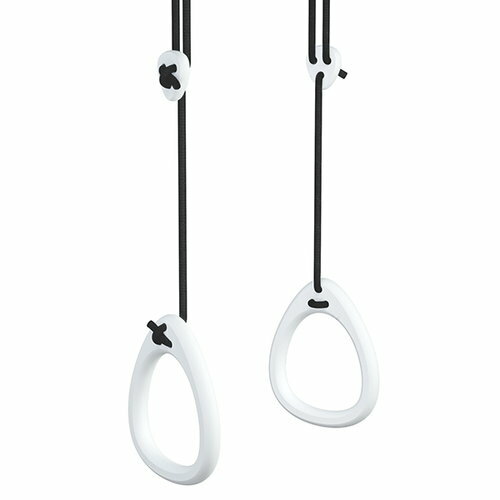 This broke down fast in use and the only thing that was left was to white ropes, each forming a loop. 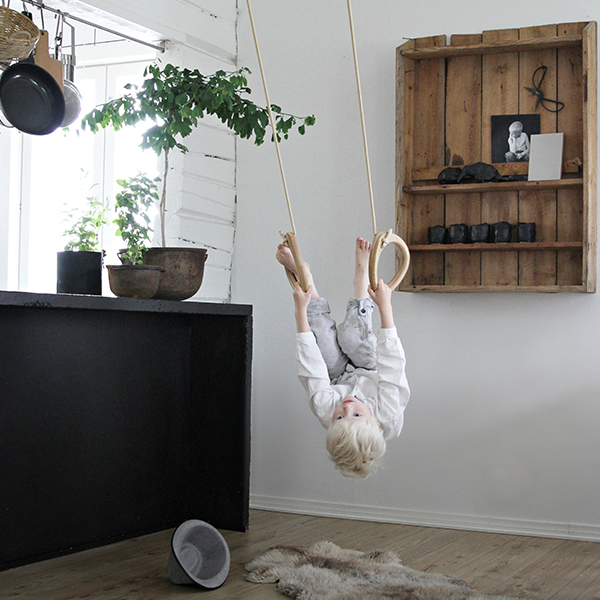 Stenfors happened to see a wooden plank and got the idea to create the Lillagunga swing.